This is going to become a regular feature on my blog — highlighting the various cases of police misconduct throughout the United States on a weekly basis. To begin, let’s check out these two stories, one a case in arrogance and general police misconduct and the second, a shocking case of misconduct with the mentally ill. The American Civil Liberties Union is dropping a bombshell announcement. Action 3 News first broadcast exclusive cell phone video from last March of a rough arrest at 33rd and Seward. 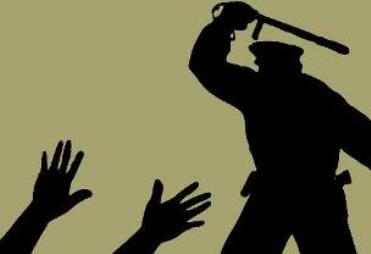 It shows a police officer pulling Octavius Johnson to the ground and punching him several times. It also shows several officers running into the Johnson home without a search warrant to confiscate video another Johnson brother was recording. Investigators believe officers destroyed that video. What police didn’t know, a neighbor was recording the whole thing. That video will now be evidence in a federal lawsuit being filed Monday. So, to be clear, officers engaged in excessive force and then tried to confiscate (and did — and destroyed it) evidence demonstrating such excessive force. Luckily, phones with video capability are obviously ubiquitous in our society and a neighbor captured the incident in question. This is good news. [Mark] Wilsey said his family called the police to help with his schizophrenic son Keith Vidal who had a small screwdriver in his hand. Officers used at Taser on Vidal and then shot him, according to Wilsey…. Police are notoriously lacking in how to handle those with mental afflictions. How many of them have to die in police custody? Police are trained in many jurisdictions for how to handle them (because the handling is basically the exact opposite of how you would handle someone else) and others are lagging behind. In any event, why did the officer shoot this young boy? If the report is true that he said, “We don’t have time for this,” then that’s grossly disgusting and the individual should be charged with homicide. Maybe it’s best not to call the police for family disputes. Or else they’ll kill your loved ones. Maybe.